Do you know that DNS is an one of the most important services for your domain? Indeed, without DNS services you can’t access the addresses like www.google.com, www.abtelecom.ro, www.webfi.ro, www.hazlii.net, www.debian.org and so on. Your new web page needs also a registrar like RoTLD, Nominet and so on, in order to register a domain for a specific top level domain (TLD). 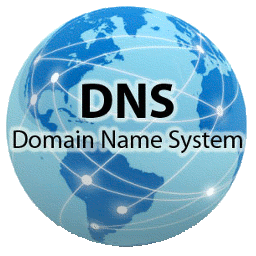 After you register your domain, or we can do it for you, you will need some DNS servers to keep your domain 24/24h per day, 7/7 days per week, 365 days/year UP, or else your domains will not be reachable anymore. We can offer you such services at competitive prices and we guarantee 100% up time.